Have you ever watched 12 consecutive hours of a show? More specifically a serial killer show? Well that what happened to me last Saturday. I started watching the first episode of Dexter Season 4, and I found myself watching the full season in one day. I am telling you 12 hours of Dexter were awesome however emotionally draining. Is there a good serial killer? Is he a super hero cleaning up the streets from bad guys? Or is he in the same boat as any other serial killer? Isn’t killing a universal language? No matter why you are doing it, the act of killing is the same no matter what the intentions are? In my opinion Dexter is a sadist, a super hero gone bad! 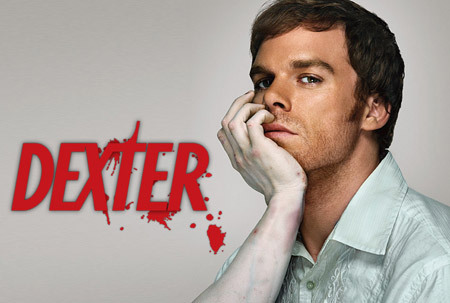 However whatever makes Dexter Dexter, makes the show creepy, charming, gruesome and engaging. Every episode is a roller coaster ride. Check it out and enjoy the thrill! What are you mimiing about?